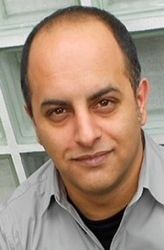 Bali Rai was born in 1971 and grew up in Leicester. 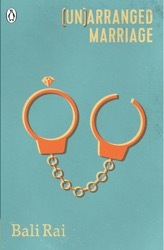 His debut novel, (UN)ARRANGED MARRIAGE published in 2001 to fantastic reviews and was shortlisted for nine regional book prizes, winning four. 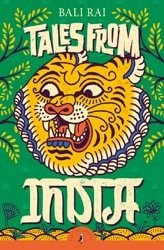 Published in twelve languages, Bali is firmly established as a leading voice in Teenage fiction after following his debut with a succession of acclaimed titles. He has been invited to speak about his writing all over the world, including Nepal and Singapore with the British Council. 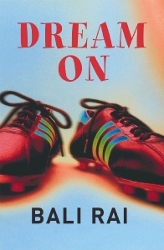 As a child, Bali wanted to be a footballer or to write stories. Always an avid reader, he hails Sue Townsend, Douglas Adams and Robert Swindells as his writing heroes. 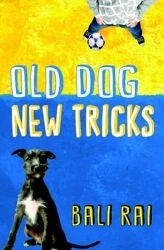 Bali grew up reading Dr Seuss and Meg and Mog and his first book purchase was The Lion, The Witch and The Wardrobe. He realised he wasn't good enough to play for Liverpool F.C. and after gaining a politics degree in London he returned to his home city and combined a variety of jobs in pubs and clubs with completing his first novel. 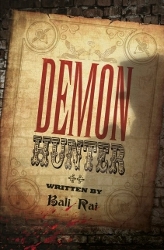 Bali set about writing a story he had been thinking about for many years. He wanted to write accessible material for children of all ages and backgrounds and realising there were no British Asian authors writing for children, he saw a gap. 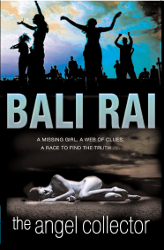 Bali hopes his novels capture the unique ethnic mix of the UK of which he is proud to be a part. For Bali, the greatest thing about being a writer is for a young reader to say 'your book made me want to read more books'. He enjoys the honest feedback from readers he meets during his school visits and indeed, some of the more eccentric ones may find themselves turning up as characters in his next book. 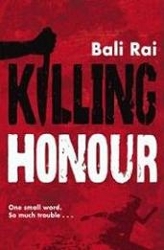 Bali also writes shorter novels for Barrington Stoke. 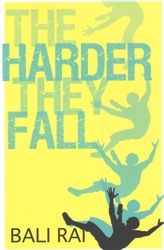 His first, DREAM ON, was selected for the Booktrust's inaugural Booked Up list and the latest, THE HARDER THEY FALL was nominated for the 2018 Carnegie Medal. Bali is now an ambassador for The Reading Agency's Reading Ahead Programme and is a Premier League Reading Stars author. 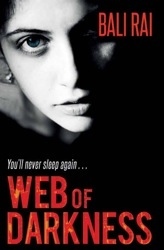 He continues to write important books for today's teenagers and his latest, WEB OF DARKNESS has won several awards voted for by the readers themselves. Cal wants to help new boy Jacob, but Jacob doesn't want anyone's help and he doesn't want anyone to know that his whole family needs help - and they're getting it from the local food bank. But Cal and his mum are volunteers there and so Jacob's secret's out. Cal wouldn't dream of betraying him, but there are others at school who want to pick on the kid who's different. A heart warming story of friendship. From wicked magicians to kindly tigers, these magical tales of friendship and morality are full or adventure and fun, and retold with great humour. A Puffin Classic. Baljit's days shovelling chips in his dad's chippy are numbered - Liverpool FC want him for their youth squad. It's a dream come true, and till then there's football to play and Hannah to hand out with. But when local troublemakers, match-day disasters and trouble on the road intervene, Baljit needs all his skills just to stay in the game. When the incredibly attractive Benedict befriends Lily online, she is thrilled. He is so much more mature than boys her age and he seems to know exactly how she's feeling. She finds herself opening up to him, telling him things she wouldn't tell anybody else. And she needs someone to confide in more than ever before as a spate of apparent suicides rocks her school - and her group of friends. But is Benedict the kind, charming person that he seemed to be initially? Lily soon realises that now, with half our lives spent online, you can be found - even if you try to hide . . .
Amritsar, India, 1919. A city on the verge of meltdown as the British struggle to keep control of India. Arjan's father has been arrested as a rioter. If Arjan can't save him, he will hang. But Amritsar at night is a terrifying place, full of wild dogs and wilder men, armed soldiers, bandits and strange, ghostly figures. If Arjan is to live through the night and find his father before it is too late, he'll need to know when to run, when to hide and who to trust. When the Singh family move into a new house, their neighbour Mick is far from welcoming. He's mean to everyone and his racist beliefs make living next door to him hard for the Singhs. But Harvey is convinced that Mick just needs help and that he's the one to do it - he just needs to work out how! A charming and heart-warming story about the importance of family and friends. Nothing has gone well for Sam since he and his mum had to swap their nice home for life on a grim estate after his dad's disappearance. When he meets Cassie, Sam feels things could take a turn for the better. 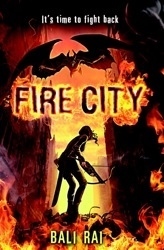 But Cassie is no ordinary girl and soon Sam finds himself on a trail of revenge with the most dangerous consequences. A chilling urban ghost story. It's 1937. When Jai's father disturbs an ancient tomb the god Anubis appears to deliver punishment. He begs Anubis to let his son go free. 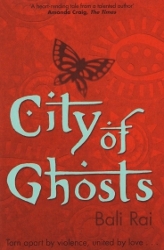 Anubis agrees but Jai must complete a task; to find and destroy an ancient Egyptian demon who has escaped the Underworld. 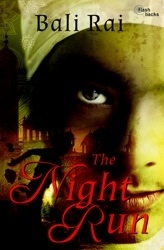 Jai finds himself on the banks of the Thames and the horror has only just begun. Victorian London is no place for the weak of heart. It is a time of violence, suspicion and fear. It is the time of Jack The Ripper. When Sat's sister Jas is married off into the Atwal family she changes. She's quiet and distant. 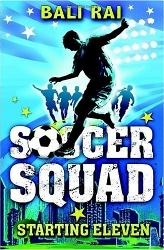 Sat is too busy with his own life; his girlfriend, schoolmates, football. Then she disappears. According to her husband she's run off with another man. The family disown her. But Sat doesn't believe it. Something terrible has happened to his sister and he's determined to figure out what. Amritsar 1919, a city simmering with discontent. Bissen watches as the young lives around him grow closer to danger, haunted by the horrific memories of his time as a soldier on the Western Front. Gurdial can do little to stop his best friend Jeevan becoming entwined with a group of revolutionaries. Gurdial yearns only to be with his true love Sonhi. He knows that a poor orphan boy has no hope of securing Sonhi's hand from her monstrous father Gulbaru. But what if Jeevan can provide the one thing that Gulbaru wants more than anything else in the world? The answers begin to fall into place as a fateful day in history draws ever closer for them all. 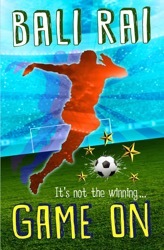 The hit soccer series from a multi award winning author. 4 titles: Starting Eleven, Stars, Glory, Missing! It is six months since Sophie went missing and the police are getting nowhere. Tired of waiting for news and unable to get her out of his mind, Jit decides he is going to try and find her. Sophie's parents are not sure this is for the best, but eventually he embarks on her trail with their full support. Sophie was last seen at a music festival and the last thing she said to Jit was that she never wanted to see him again. Who on earth is Shining Moon? And what about the middle-aged man the others remember seeing just before she vanished. But then Sophie sends Jit a text message . 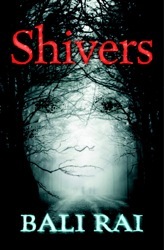 This is an exhilarating and terrifying thriller. Simram falls for Tyrone the moment she spots him in the crowd. He's gorgeous. Even better, he fancies her back. But there's just one big problem, Tyrone is black. Simran's parents would probably be okay about it if she told them, but for others, it simply can't be tolerated that a family member could dare to have such a relationship. 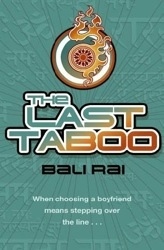 It is the last taboo for an Asian girl and one that some will do anything to enforce. 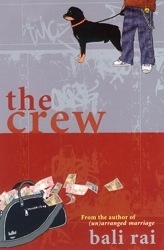 In the sequel to 'The Crew' another gang of dealers have replaced Buster - and Divy appears to be the new man on the block. But Divy is Jaz's cousin and this becomes a source of friction between Jaz and the rest of the Crew, especially when rumours of police informants lead to the finger being pointed in Nanny's direction. And then there is the graffiti on the wall. Nanny has to leave town. Now the Crew must stand on their own. Billy and the others try to defend Nanny's reputation but this only leads them into more serious trouble. Rani fancies Sukh and Sukh is crazy for Rani, so it isn't long before they become a couple, hiding their relationship from their families, especially Rani's strict father. One day they will tell all, but they'll worry about that later. 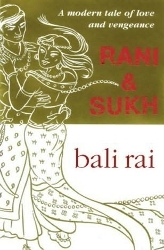 Until then, Rani and Sukh enjoy being intoxicated with love, just like Kulwant and Billah, forty years ago in India, whose doomed teenage love affair started the dreadful feud between the Bains and the Sandhu families. The trouble is Rani Sandhu and Sukh Bains have no idea about what happened between their families years ago or what will happen if anyone finds out that history is repeating itself. A dark, back-alley, a mysterious stranger and a bag full of money .. Ellie, Jas, Will, Dell and Billy live in the heart of a big city. They look after each other and try to stay out of trouble, which is difficult in their neighbourhood. Where they live, prostitutes on the street corner, gang warfare, territorial battles and a distrust of the police are commonplace. Then one day they find a fortune in notes and life is about to become even more complicated. 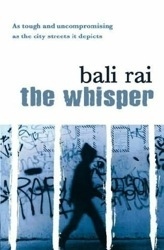 Bali Rai's second novel radically updates a much-loved genre and provides a controversial view of growing up in the 21st century as an urban teenager. Manny wants to be a footballer, a writer or even a popstar. He definitely doesn't want to get married - but Manny's father and his bullish older brothers are certain that he will not dishonour the family by evading what they have planned for him. Jit's dad thinks his son will one day take over the family fish and chip shop, but Jit has other ideas, he want to be a footballer and wear the red shirt of Liverpool F.C. The thing is, Jit can play a bit and when the trials come up, he knows he has to give it a shot.